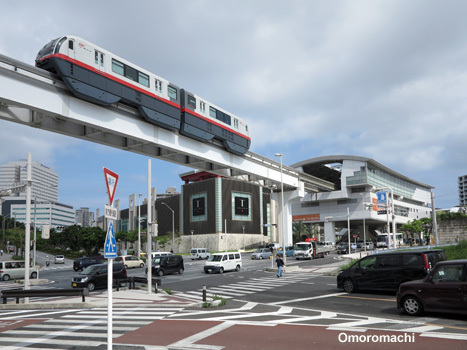 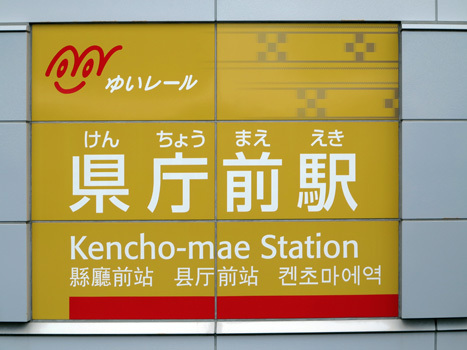 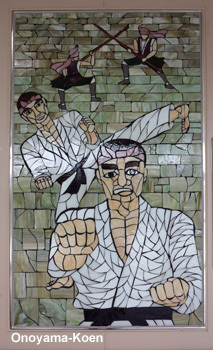 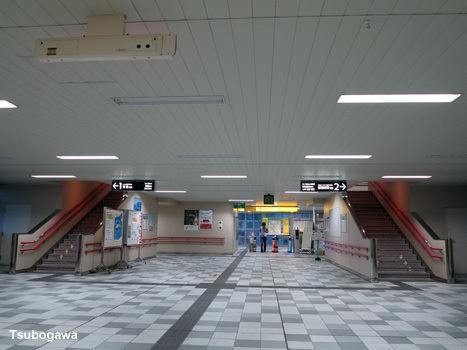 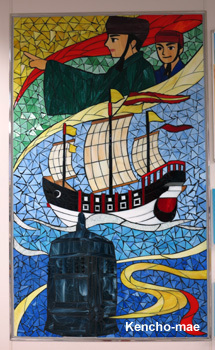 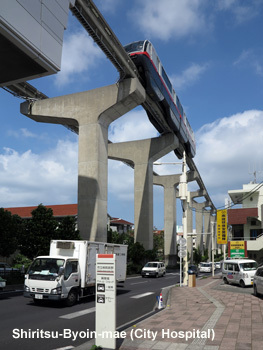 Naha lies on the Japanese island of Okinawa (some 1000 km southwest of Tokyo). 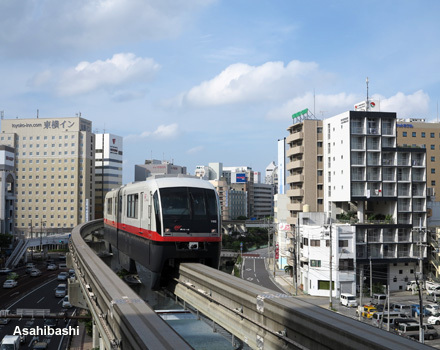 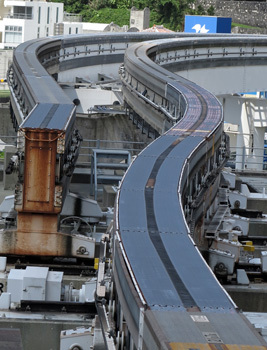 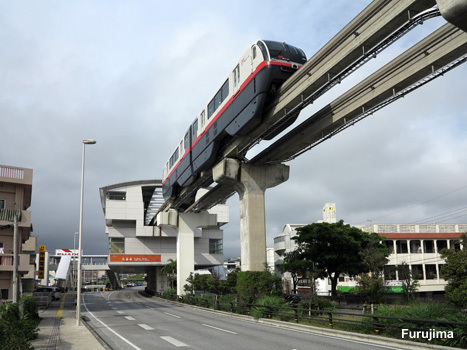 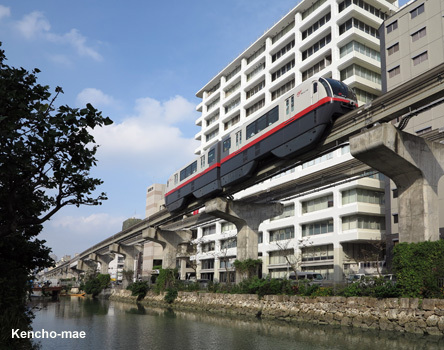 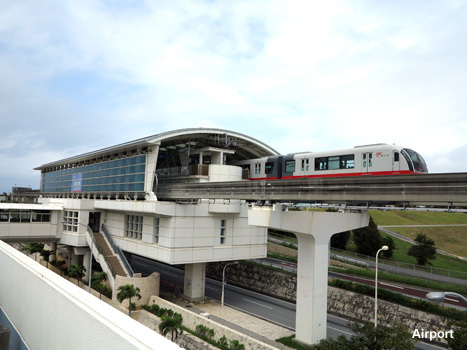 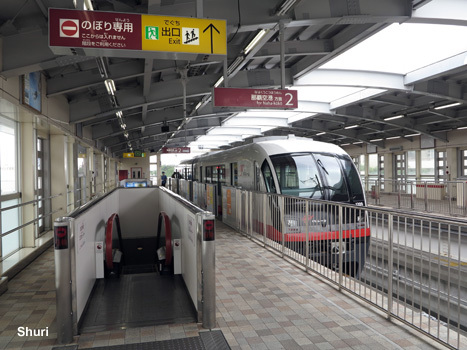 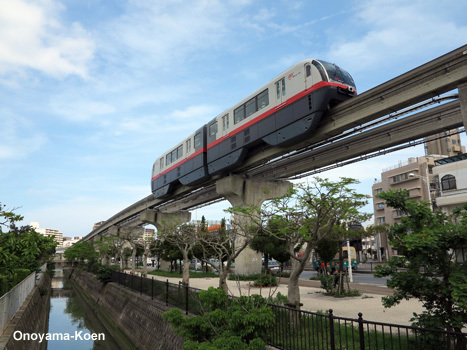 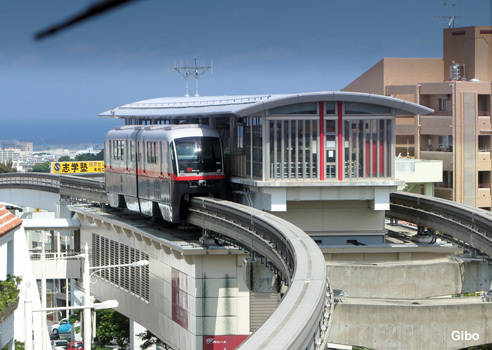 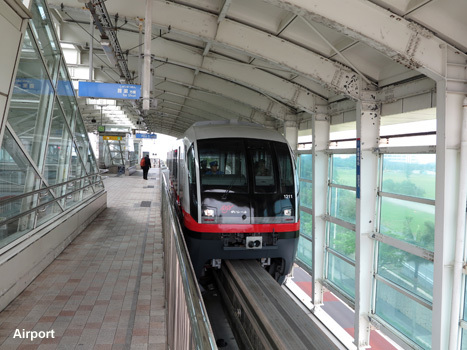 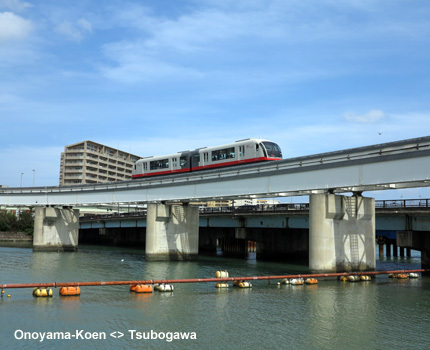 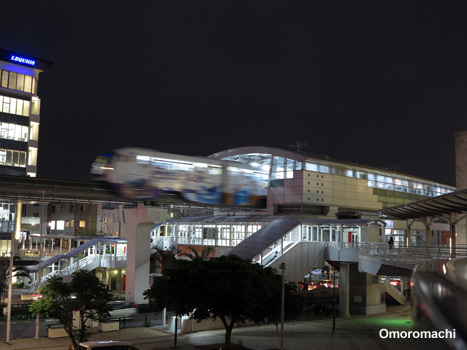 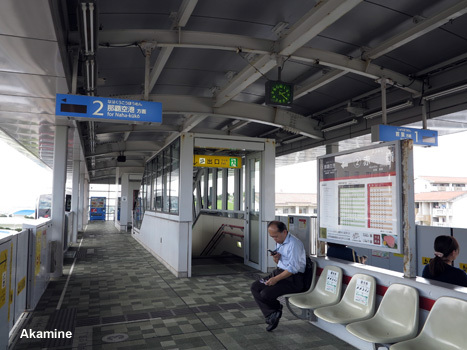 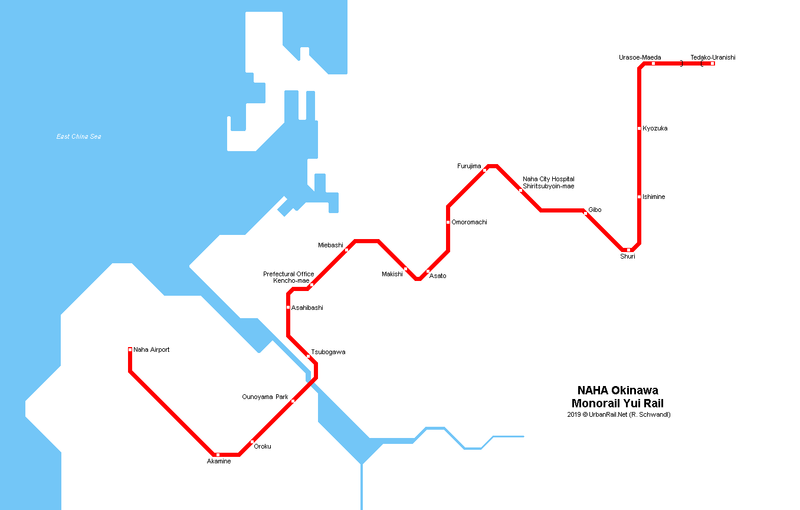 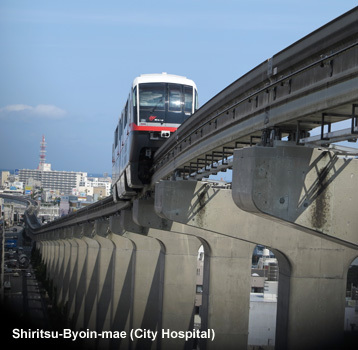 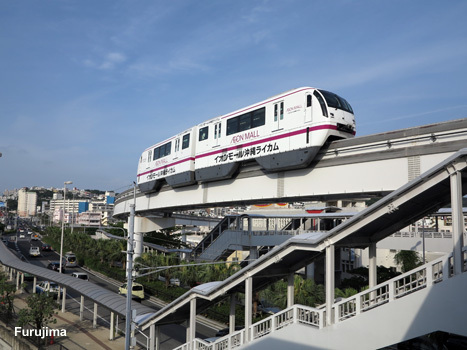 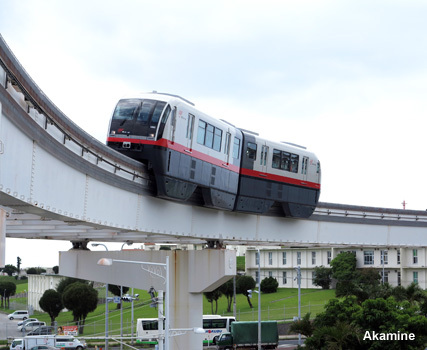 A 12.8 km monorail line with 15 stations was built to link the airport to the city centre and Tera. 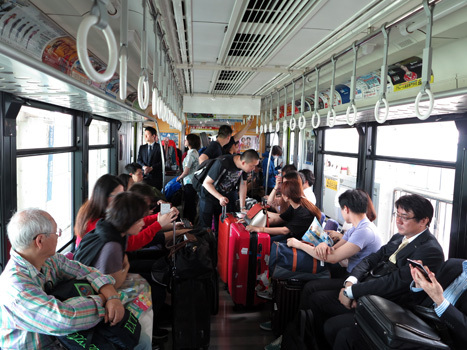 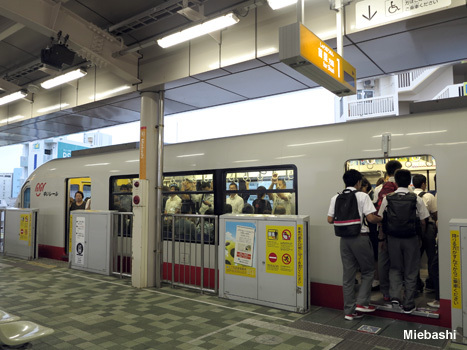 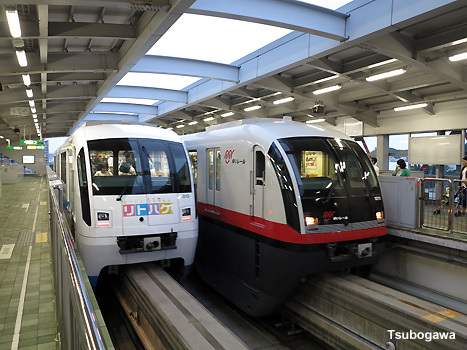 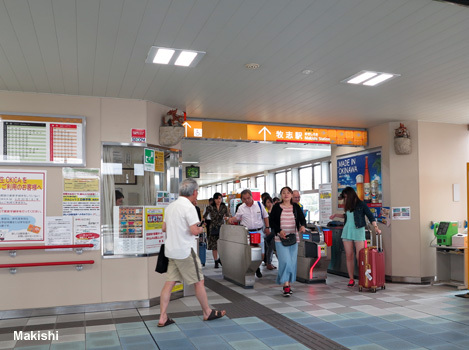 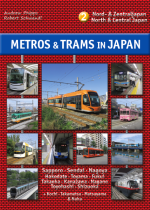 Trains were provided by Hitachi and can carry 165 passengers. 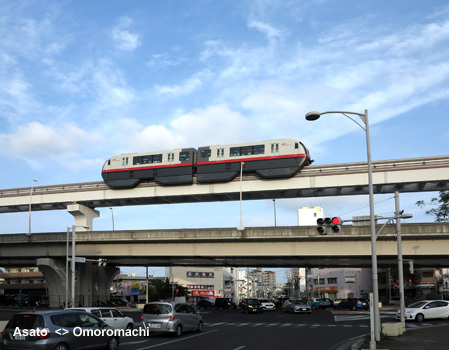 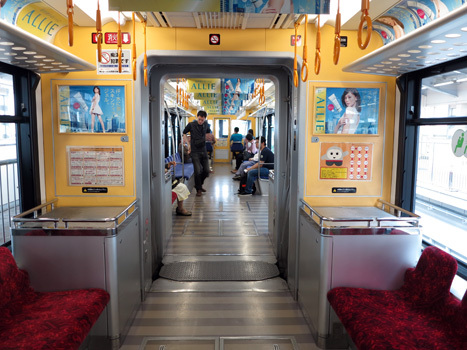 The name “Yui Rail” and its logo were a result of a public contest. 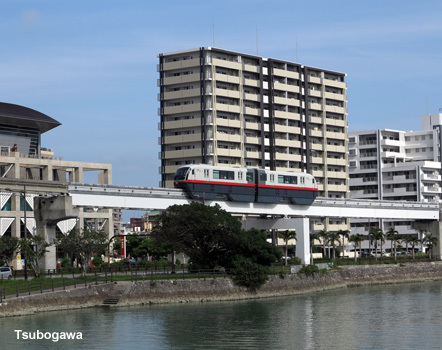 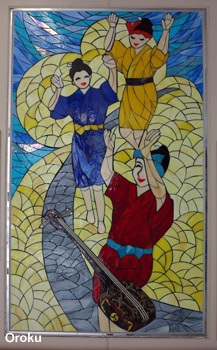 In Okinawan dialect “yui” means an Okinawan tradition of helping each other.